Digital Subscriptions > GCN > 348 > ACT UP ACT NOW! ACT UP, the AIDS Coalition To Unleash Power, is a diverse, non-partisan group of individuals united in anger and committed to direct action to end the HIV/AIDS crisis. Photograph by Stephen Moloney. The first ACT UP chapter was founded in New York in 1987. Since then, dozens of chapters have been formed in countries around the world. 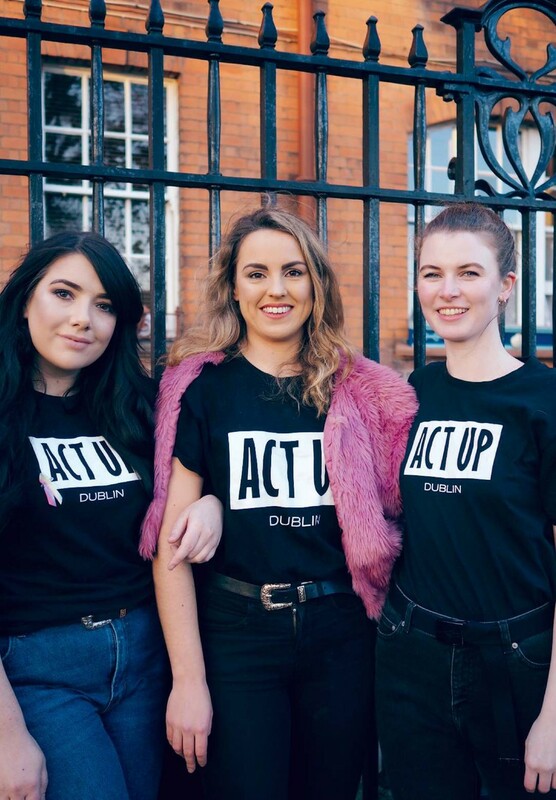 ACT UP Dublin was founded in July of 2016 in response to the steady growth in new HIV diagnoses in Ireland, and the persistent and pernicious silence and stigma that continues to surround HIV. There is a growing presence of women in the group, joining in the fight against that stigma, inadequate services and inaccessible preventative medication. Here, three of those women tell us why they joined.